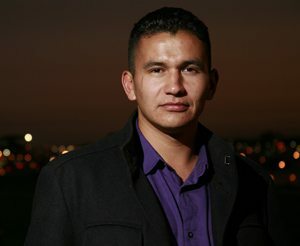 Penguin Canada has acquired two titles by Wab Kinew, the Aboriginal musician, director of indigenous inclusion at the University of Winnipeg, and Adrienne Clarkson RTDNA Award–winning journalist who also successfully defended Joseph Boyden’s The Orenda on Canada Reads this year. The first book, due out in fall 2015, is a memoir “about family reconciliation and spiritual rebirth,” according to a statement from Penguin Canada. An illustrated children’s title will follow. Penguin Canada president and publisher Nicole Winstanley, who acquired the books, says it was Kinew’s Canada Reads appearance that first caught her attention. “I was moved and inspired alongside many Canadians. Wab’s powerful voice should be heard by all, and this memoir offers unique insight into how he came to find it,” she says.